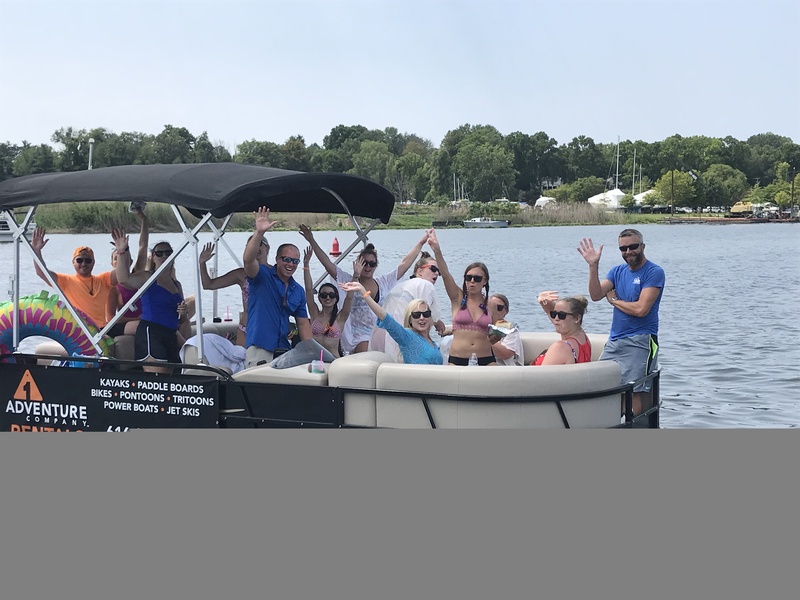 Bring your family and friends for a relaxing cruise around beautiful Lake Macatawa the way it was meant to be seen; on the water! Enjoy the luxurious boat ride in our brand new 2019, 22′, 14 passenger pontoon boat rental. 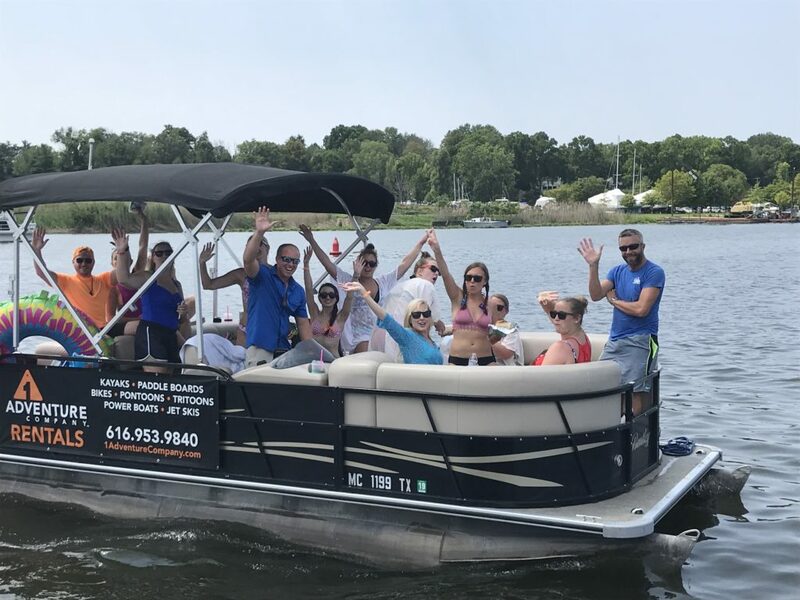 Whether you are wanting to check out the sights on Lake Macatawa like Big Red Lighthouse or cruise up to Boatwerks for dinner and a drink, this is one of the best ways to do it. This boat rental is equipped with a stereo that has USB and AUX input, quiet 90hp command thrust Mercury motor, 25” full size toons, comfortable seating, anchor, depth gage, Bimini top for shade and all of the proper safety gear. Fuel is provided and expect a full tank at the time of your rental. This boat rental is best suited for family and friends in the range of 10-12 persons but can of course accommodate 14 if needed. Plan on at least 2 hours if you plan on cruising around Lake Macatawa and longer if a margarita stop is needed at Boatwerks. Our helpful staff will help guide you on the no-wake zones, great places to fish, landmarks, and make helpful recommendations of places to see from Lake Macatawa. Please see our Pontoon Boat Rental Agreement for more information.